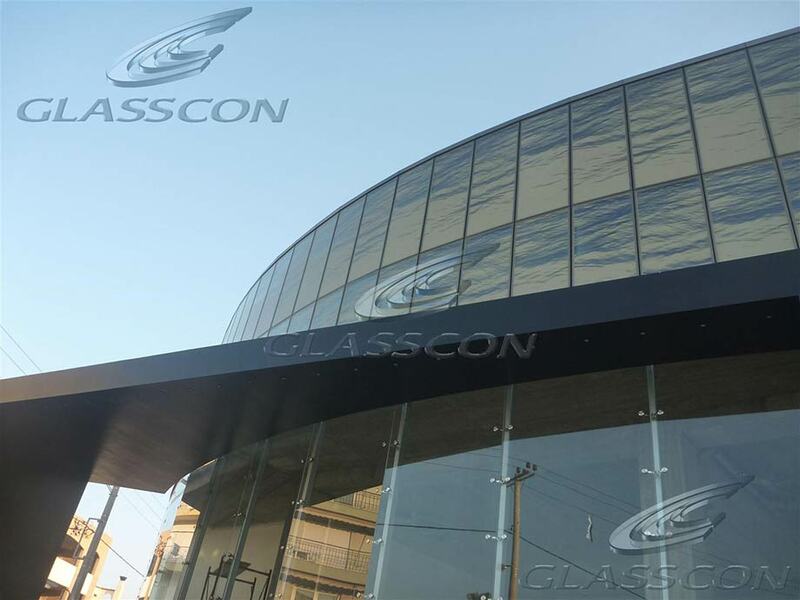 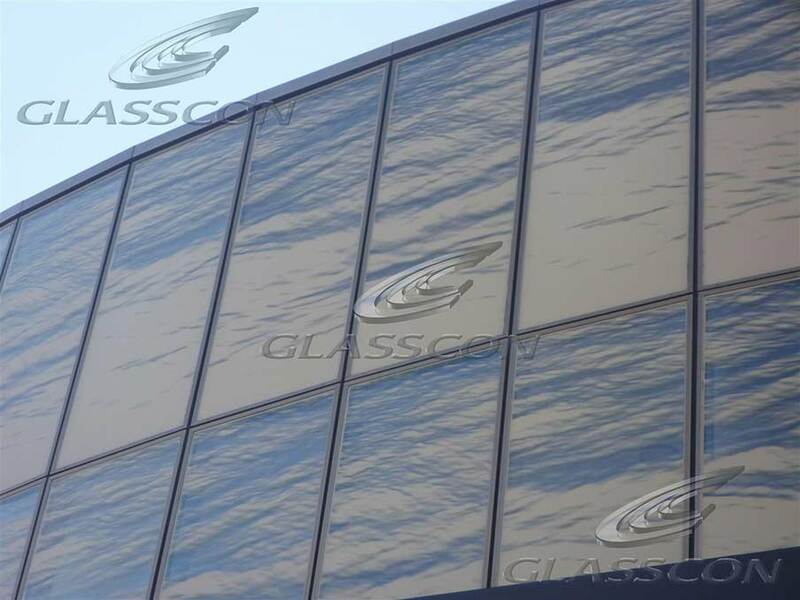 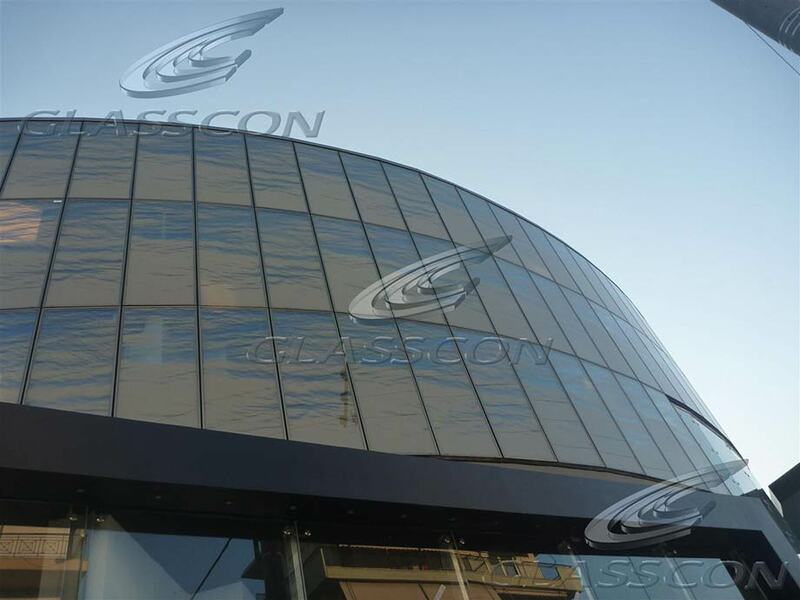 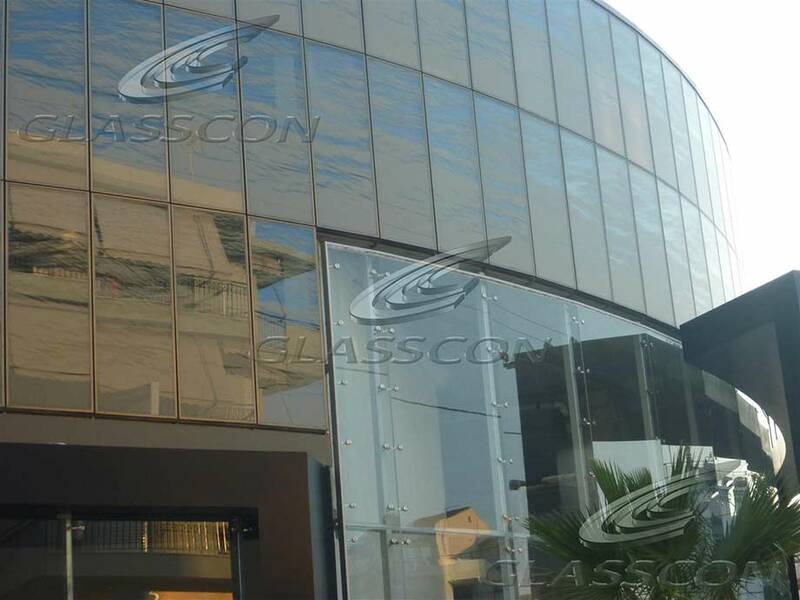 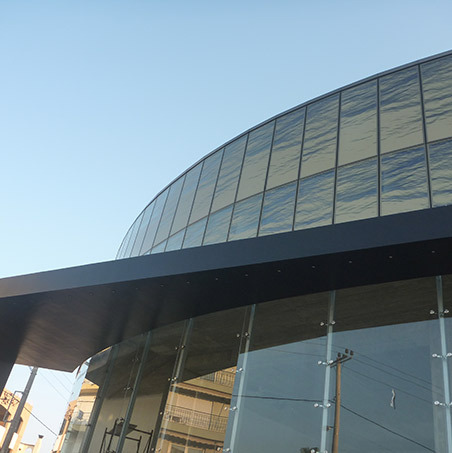 GLASSCON fully designed, developed, manufactured & installed the facade of a commercial building. 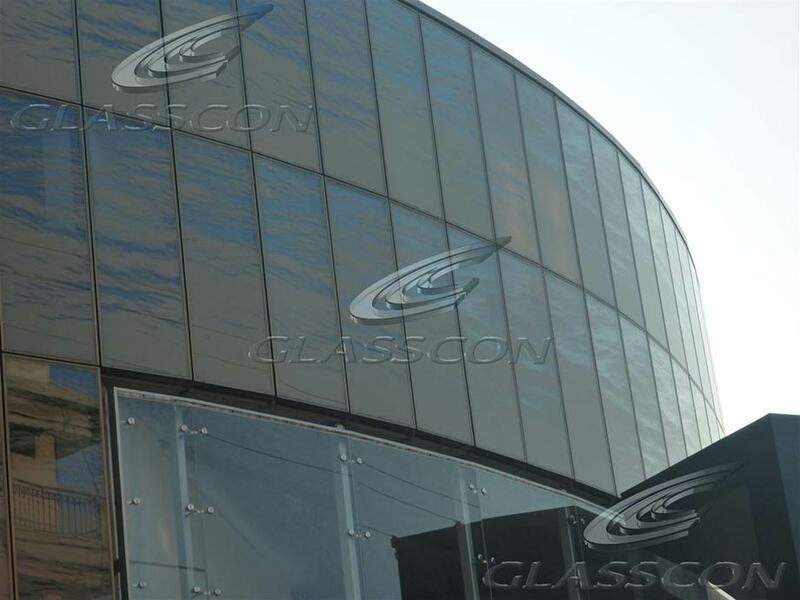 The curtain wall is made of special double insulating glass with FRITTED GLASS printing "glasscon CERAMIC GLASS FRIT - SCREEN PRINTING". 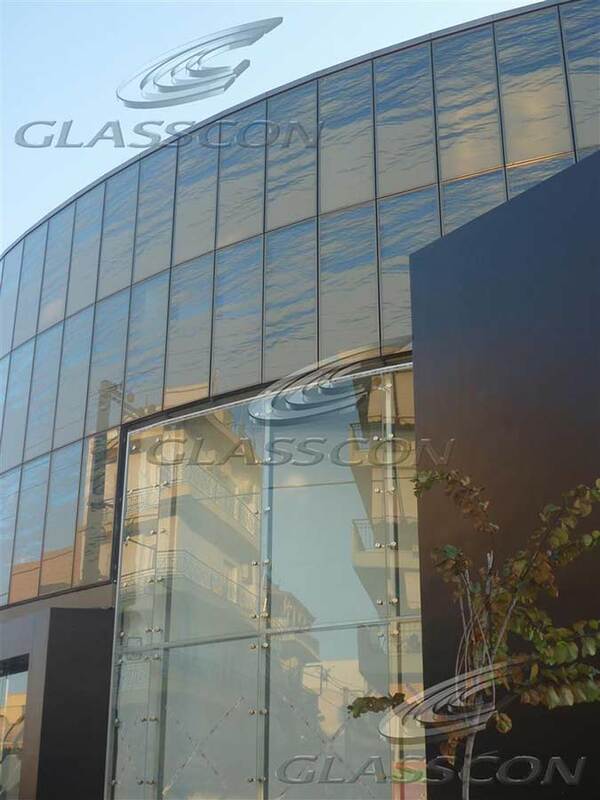 Highly detailed architectural pictures have been silk printed on the glass panels and are illuminated during night.